Numancia and Real Valladolid meet , in a match for this stage of the Segunda División (Promotion Play‑offs ‑ Finals). In 8 head‑to‑heads in the last 3 years, the away team won 3, tied 3 and lost 2. The last head‑to‑head between these two teams was played on 05‑05‑2018, and ended in a (0‑1) win by Real Valladolid. Both teams register significant differences between home and away results, so the home/away factor is worth atention. 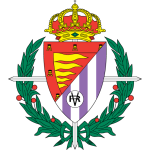 The home team comes to this stage of the Segunda División (Promotion Play‑offs ‑ Finals) after a away win by (1‑2) and a home draw by (1‑1) against Real Zaragoza. This is a team that is often stronger at home, with the help of its supporters, so they usually make good use of the home advantage, since in the last 30 matches they register 3 wins, 6 draws and 6 losses in away matches; against 9 wins, 3 draws and 3 losses at their stadium. In the last 10 home league matches Numancia has a record of 6 wins, 2 draws and 2 losses, so they have won 20 points out of 30 possible. In their home league matches the most frequent result at half‑time was the 0‑0 (12 out of 22 matches). Defensive consistency hasn’t been their best feature, as they have conceded goals in 7 of the last 10 matches, but their offense has scored consistently, as they have scored goals in 8 of the last 10 matches for this competition. In 44 matches for this competition, they have conceded the first goal 21 times and have only turned the score around in 1. In the last 22 home matches for this competition there are 2 periods that stand out: they have scored 13 of their 34 goals between minutes (76'‑90'); they have conceded 5 of their 13 goals between minutes (76'‑90'). 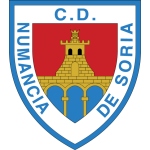 Numancia's team went through a lot of difficulties to reach the playoff phase, and now come to this last game with great chances of climbing to the top division of Spanish football. Playing at home in this first leg game is essential if they win the advantage on the round, as the second leg game should be even more complicated as they will be played on the opponent's field. The team managed to eliminate Real Zaragoza after winning in the first leg away from home by 2-1. The coach of the team should not rely on Luis Valcarce who is injured. Confirmed Lineup: Aitor Fernández, Markel Etxeberría, Carlos Gutiérrez, Saúl, Alberto Escassi, Pablo Valcarce, Marc Mateu, Iñigo Pérez, P. Diamanka, Guillermo Fernández, Pere Milla. The away team comes to this stage of the Segunda División (Promotion Play‑offs ‑ Finals) after a away win by (1‑2) and a home win by (3‑1) against Sporting Gijón. This is a team that usually makes good use of the home advantage, stronger with the help of its supporters, since in the last 30 matches they register 5 wins, 3 draws and 7 losses in away matches, with 17 goals scored and 17 conceded; against 11 wins, 2 draws and 2 losses at their stadium, with 31 goals scored and 17 conceded. In the last 10 away league matches Real Valladolid has a record of 4 wins, 2 draws and 4 losses, so they have won 14 points out of 30 possible. Defensive consistency hasn’t been their best feature, as they have conceded goals in 8 of the last 10 matches, but their offense has scored consistently, as they have scored goals in 9 of the last 10 matches for this competition. In their away matches there is a tendency for goals, since 9 of the last 22 matches for this competition have ended ended with Under 1,5 goals. In 44 matches for this competition, they have conceded the first goal 18 times and have only turned the score around in 2. Having won both games in the previous round, at home and away, Real Valladolid is confident and aim to achieve the rise to the first division, so it's important that they allow opponent's strikers space and achieve at least a draw in this first leg match, as the decisive game will be in their stadium, where they will count on the support of their fans. The team eliminated Sporting Gijón with two wins, in the first leg won by 3-1 at home, and then won the second game by 2-1 away from home. The coach of the team should have the absence of Antonio Cotán and Deivid who are injured. Confirmed Lineup: Jordi Masip, Kiko Olivas, Javi Moyano, Fernando Calero, Nacho Martínez, Antoñito, Anuar Tuhami, Borja Fernández, Óscar Plano, Jaime Mata, G. Gianniotas. Playing in their stadium alongside their fans, Numancia should take control of the game, as they need to go after the victory, since they will have a very complicated game in the second leg as they will play on the opponent's field. The away team will try to form a strong defensive barrier and at the same time find spaces to build attack moves and try to reach the goal, which will be very important to achieve their goal, which is the division rise. The home team should have the initiative of playing, as they will play alongside their fans, however know that they will risk the counterattacks of the away team, so we should watch a game in which both teams will be able to create good goal chances. For the above facts we will bet that both teams will be able to score goals in this match.